Tuesday, Jan. 15, 2019, 4 – 7 p.m. Celebrate the life and legacy of Martin Luther King, Jr.! 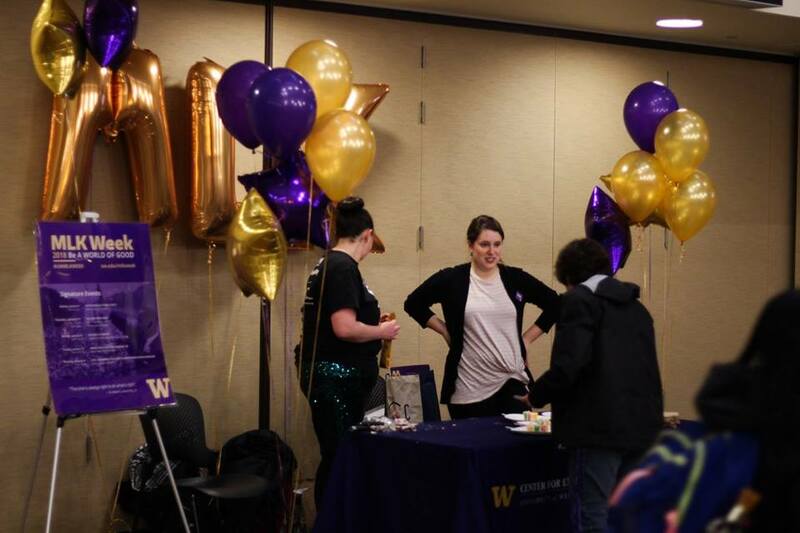 The Carlson Center at the University of Washington and Samuel E. Kelly Ethnic Cultural Center are putting on an event to celebrate with birthday cake, celebratory music, opportunities to engage with MLK’s legacy through conversation, and get your #UWMLKWEEK swag.